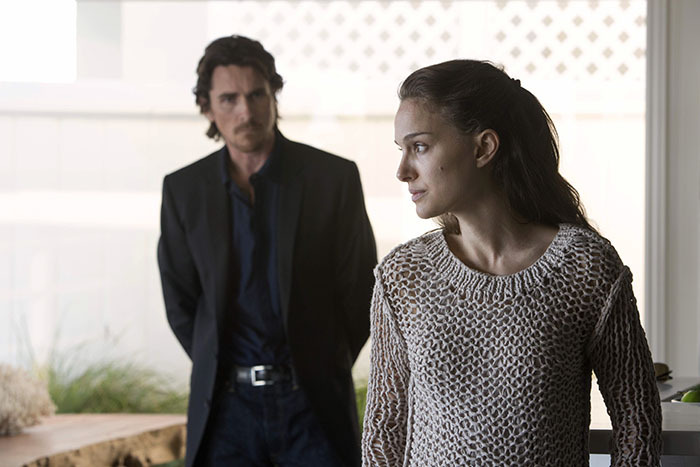 In her latest film Knight of Cups, Natalie Portman plays one of six women in the life of a troubled screenwriter (Christian Bale)—Cate Blanchett, Imogen Poots, Freida Pinto, Isabel Lucas and Theresa Palmer are the others—in the March 4 release from director Terrence Malick. Portman reteamed with Bale and Malick on the director’s next picture Weightless, due out later this year. The Jerusalem-born Jewish actress has been living in Paris with her husband, choreographer Benjamin Millepied, who directs the Paris Opera Ballet, and their son Aleph, 4. The couple met on the set of Black Swan and married in a Jewish ceremony in August 2012. Millepied, who was raised Christian, said in 2014 that he was in the process of converting to Judaism. 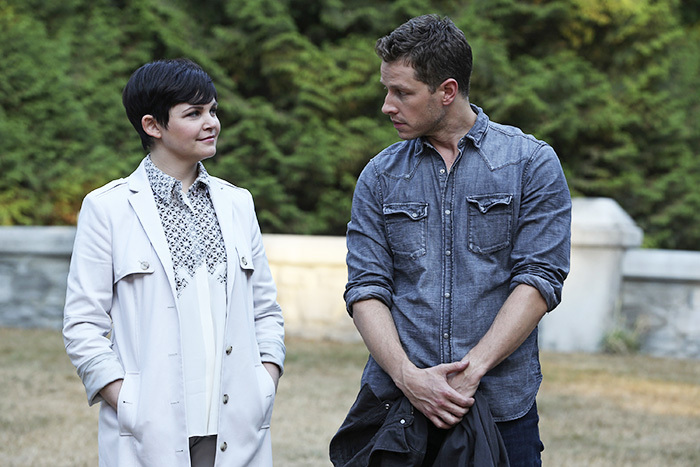 Once Upon a Time star Ginnifer Goodwin will be heard and not seen in her new movie. In the animated Zootopia, out March 4, she voices the role of a rabbit, a rookie cop who teams up with a sly fox (Jason Bateman) to solve a mystery. Goodwin, whose father is of Welsh descent and Christian, was raised in her mother’s Jewish faith in Memphis, and married her Once Upon a Time co-star Josh Dallas, who is not Jewish, two years ago in a Jewish ceremony presided over by the same rabbi who was at her bat mitzvahed. Eight months pregnant at her wedding, Goodwin gave birth to her son Oliver in May 2014 and is now expecting a second son. Goodwin has said she had no religion in her life once she left home, but has reconnected with Judaism in recent years, declaring, “I was a Jew by birth, and now I’m a Jew by choice.” Her children will be raised Jewish, she says. The latest comedy from Sacha Baron Cohen (Borat, The Dictator) is the action caper The Brothers Grimsby, which casts him as Nobby, an unemployed rabid soccer fan living in Northern England with his girlfriend (Rebel Wilson) and their rowdy kids. Having spent the last 28 years searching for the brother (Mark Strong) he hasn’t seen since they were separately adopted as kids, he finally finds him at the most inopportune moment: His brother is an MI6 hitman about to eliminate a dangerous villain, but bumbling Nobby botches the mission and mayhem ensues, which sets the zany plot in motion. The movie, co-written by Baron Cohen and in theaters March 11, also includes Penelope Cruz and Isla Fisher—Mrs. Baron Cohen—as an MI6 agent. Fisher, who was raised Christian, met her Jewish husband in 2002 in her homeland of Australia and converted to Judaism before they married in Paris in March 2010. They now have three children, Olive, 8, Elula, 5, and one-year-old Montgomery. The couple, who are starring in their first film together, brought their brood along to filming locations in London and Cape Town, South Africa. “We were like a big traveling circus,” Fisher says. 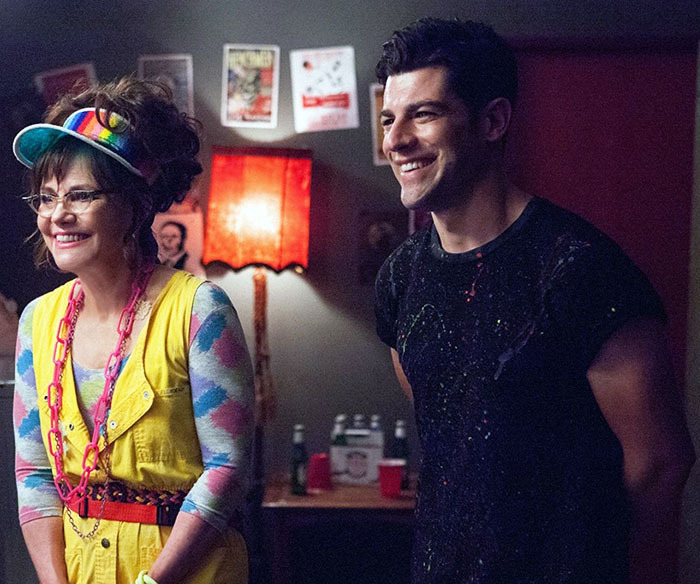 In the new comedy My Name is Doris (out March 11), New Girl’s Max Greenfield plays the handsome young new co-worker who sets Sally Field’s heart aflutter and provides her with a hip new social life—to the bewildered disapproval of her friends and family. Greenfield, who is also in the voice cast of this summer’s sequel Ice Age: Collision Course, is an interfaith marriage. The Jewish actor is married to casting director Tess Sanchez (who is not Jewish), with whom he has two kids, Lilly, 6, and Ozzie, 11/2. 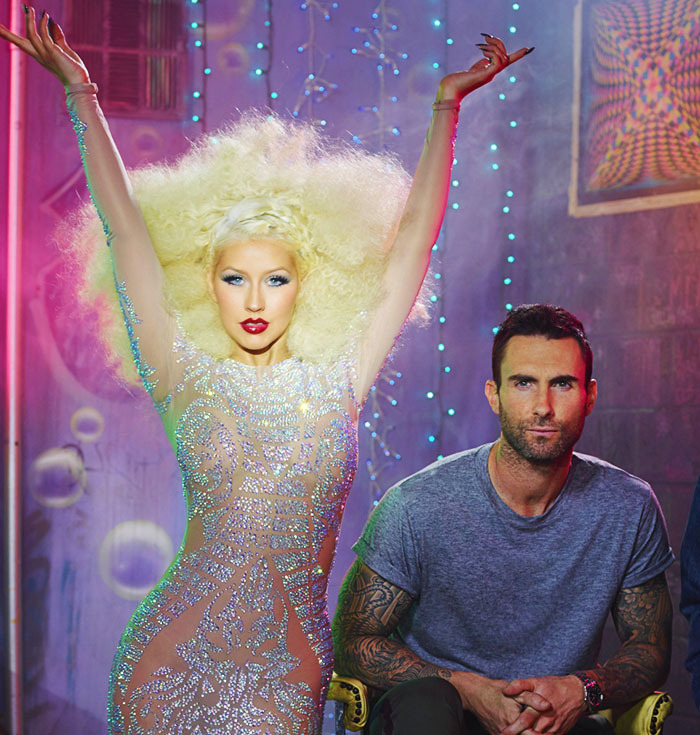 The Voice’s return to NBC on February 29 also marks the return of coach Christina Aguilera to the revolving chairs. The singer and mother of two is in an interfaithrelationship with Matthew Rutler, who is Jewish and the father of her daughter Summer. Fellow coach Adam Levine is in an interfaith marriage with model Behati Prinsloo—they were married in 2014. Gerri Miller writes and reports from Los Angeles about celebrities, entertainment and lifestyle for The Jewish Journal, FromtheGrapevine.com, Brain World, HeathCentral.com, and others. A New York native, she spent a summer working at Kibbutz Giv'at Brenner in Israel and attends High Holy Day services at the Laugh Factory in West Hollywood every year.